Ah, finally a Wine to pair with my mask this Wednesday - this week's pairing is featuring "Apples"! Oh you guys know my love of crazy masks - these character masks are always hilarious/scary to wear! I love them! 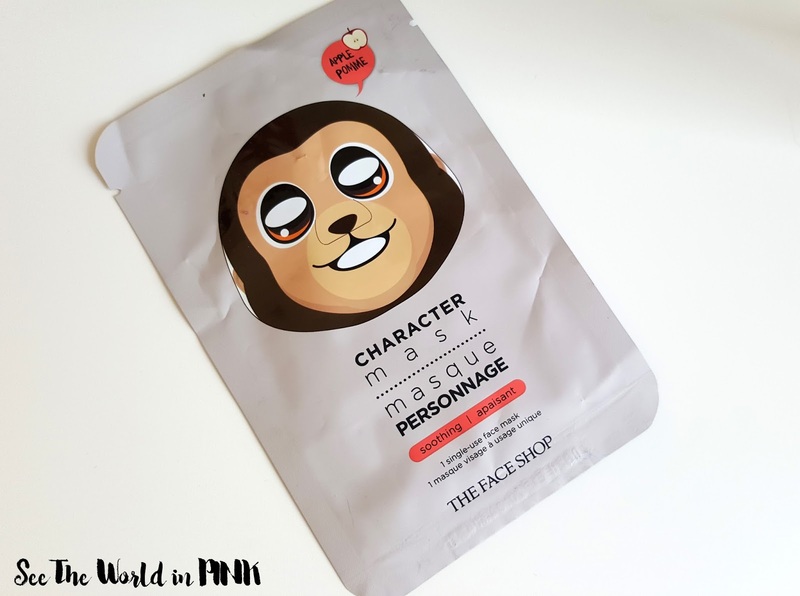 I am generally pretty happy with the masks I get from TheFaceShop - I love that this company is really making k-beauty accessible in malls and they are very well priced. 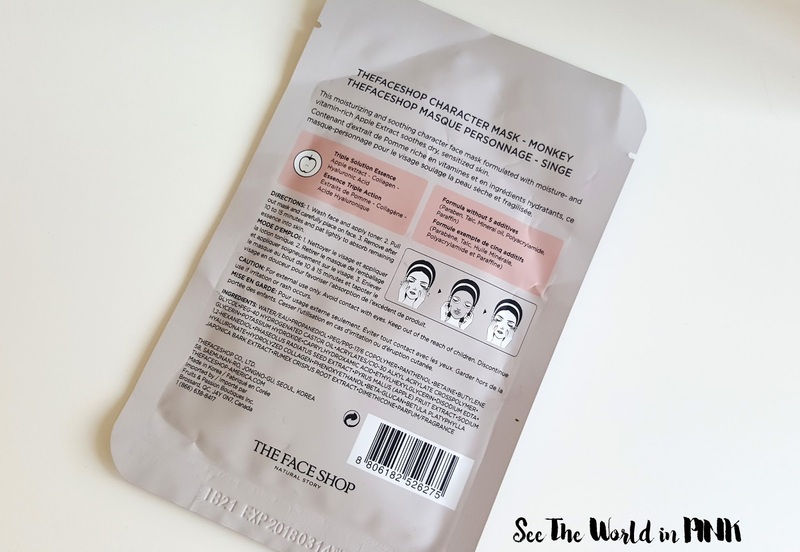 This mask is used like all other sheet masks - wash face, apply toner, apply mask and leave on for 15-20 minutes, remove mask and pat remaining essence in to skin. 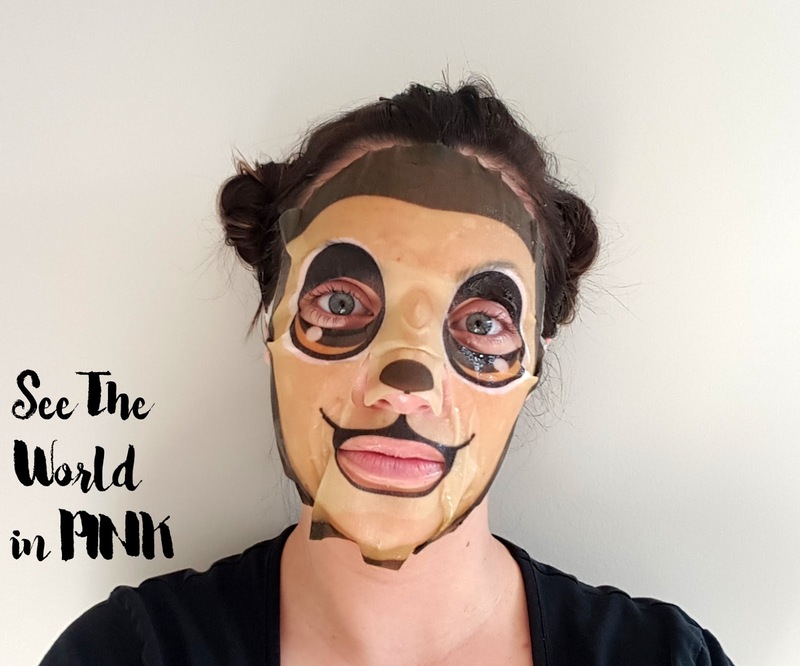 Oh this mask is so cute and weird all at the same time! It came with a good amount of essence and adhered well to my face. I thought the fit was pretty good, but it was a little loose around my chin. This mask lasted about 30 minutes on me and had a faint apple smell, which I thought was great! It did make my skin feel super smooth and soft after and it was perfect - I was in need of a soothing mask tonight! Dirty Laundry "Hush" Rose ~ $20.99. Red apple & watermelon on the nose, with a hint of strawberry on the palate. This wine is a blend of Pinot Noir, Merlot and Cab Franc making it on the deeper and dryer end of roses - but it does still finish with a light, crisp fruit note! This wine is delicious! I love the lightness, but full bodied flavour of this wine! 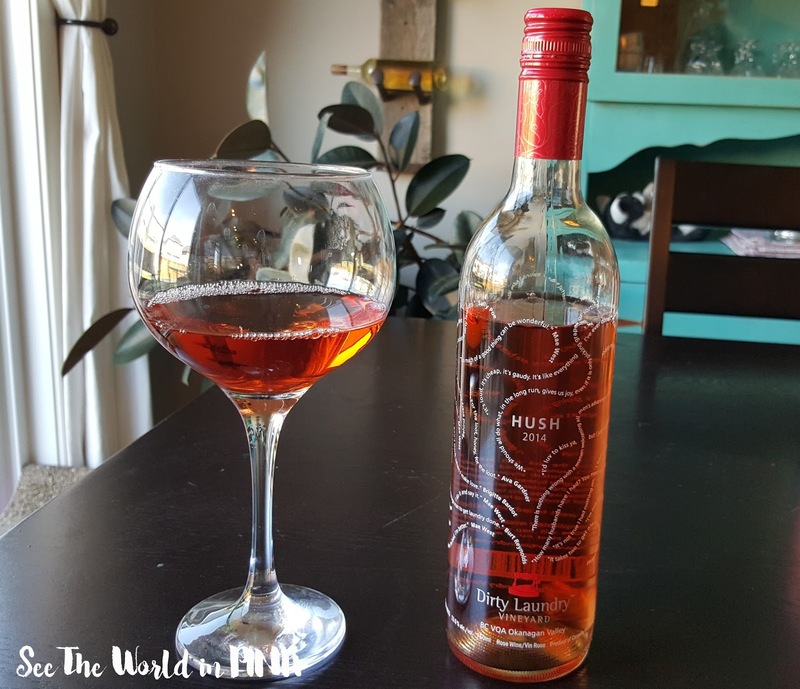 It is a beautiful bright, almost coral colour wine and I call this a must-try! This wine suggests paring it with bold Asian or Indian flavor dishes - it would absolutely stand up to bold flavors. I also thought it paired nicely with bachelorette watching and mask night, so a wine that can do both is great! Also, Dirty Laundry is one of my favourite vineyards to go to in Summerland, B.C. They really make their wine tasting a whole experience and have a lot of fun with it! The property is beautiful and if you are making any stops on the Bottleneck Drive wine tour, make sure to go here! Oh that's too bad - maybe just keep trying a good brand with the right amount of essence to stick better!